Are you or your sweetheart Irish? Do you just like the look of the Claddagh ring? Or do you just want to know where they came from? Whatever your interest in Claddagh and traditional irish engagement rings, you probably wonder why they have the symbols they do and what makes them so important to Irish women. The story behind Irish engagement rings is as romantic as a Hollywood swashbuckler. 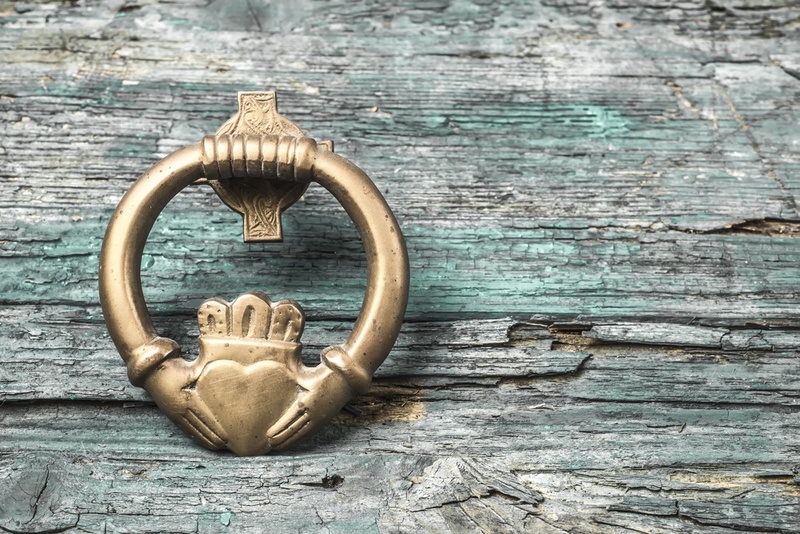 True love, pirate kidnappings, and a long fight for freedom sum up the legend of the Claddagh ring’s creation. So relax and enjoy the tale, because this is the story of a young man named Richard Joyce. 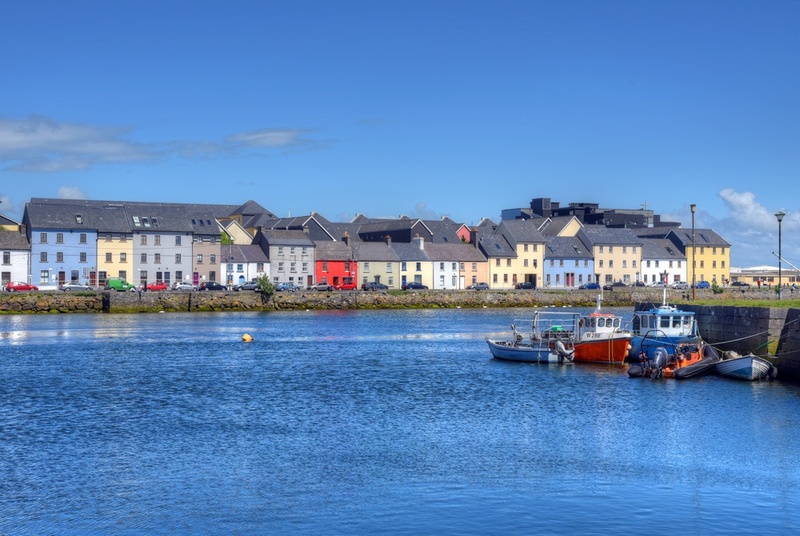 Today, Claddagh is a city in the western Irish province of Galway. But until the early twentieth century, it was an isolated fishing village. In the 1600s, Claddagh was the home of Richard Joyce. The Joyces were a fishing family. Their trade not only took them out to sea but required that they be taught the vocation by older members of the family. One fateful day, a young Richard left behind his true love to go learn his family’s trade. While out at sea, their small fishing boat was overtaken by Spanish pirates who captured the Joyces and took them to northern Africa to be sold into the slave trade. Piracy was common all over the seas during this era, to the extent that some countries had “state-sponsored” pirates called privateers who anonymously raided the shores of other countries. Sold as a slave and fearing for his life, Richard nevertheless found himself in the service of Algerian goldsmiths, learning their trade and becoming a master craftsman. According to the legend, his enslavement lasted for 17 years. Some versions of the tale indicate he was bound for the Caribbean as well. Accounts differ regarding how Richard Joyce managed to escape slavery. Some claim he bought his way out. Others claim he was sold to the English, where he was emancipated in 1689 by a ruling of King William III. Some versions of the tale even claim he was wealthy and respected by his owners. However he did it, he made it back to Claddagh… and his true love had been waiting for him, staying faithful the entire time. To celebrate their love, Richard Joyce drew from his life and his bride’s loyalty and designed the Claddagh ring. He made it out of gold and three symbols: the hands, representing friendship (cairdeas); the heart, representing love (grá), and the crown atop the heart, representing loyalty (dílseacht). Eventually, the ring became popular over all of Ireland, and although it was known as a Claddagh ring, different regions had their own legends claiming its origination. Eventually, mothers began passing their Claddagh rings onto their daughters as a symbol of tradition. Claddagh rings without the crown were even a symbol of rebellion against the English. The heart, however, has always had a significance regarding the young lady wearing the ring and her availability for courtship. A girl wearing the ring on her right ring finger with the point of the heart aimed out was available for courtship, while a girl with the heart turned in was spoken for. Once married, a girl would wear it on the left ring finger with the heart turned in, until she passed it onto her daughter or daughter-in-law. 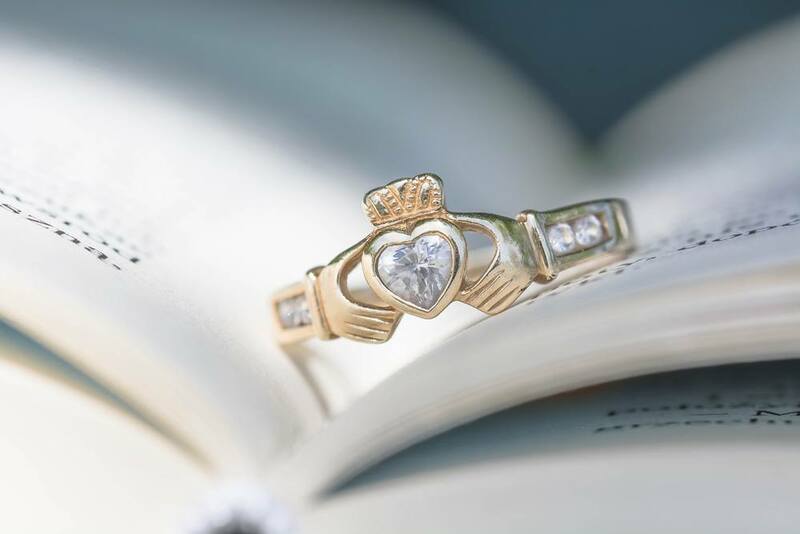 Claddagh rings are still a popular choice for engagement and wedding rings. Some people use the traditional style of one solid metal. Another style mixes metals, perhaps making the heart silver and the crown and hands gold, or the ring platinum with the symbols white gold. 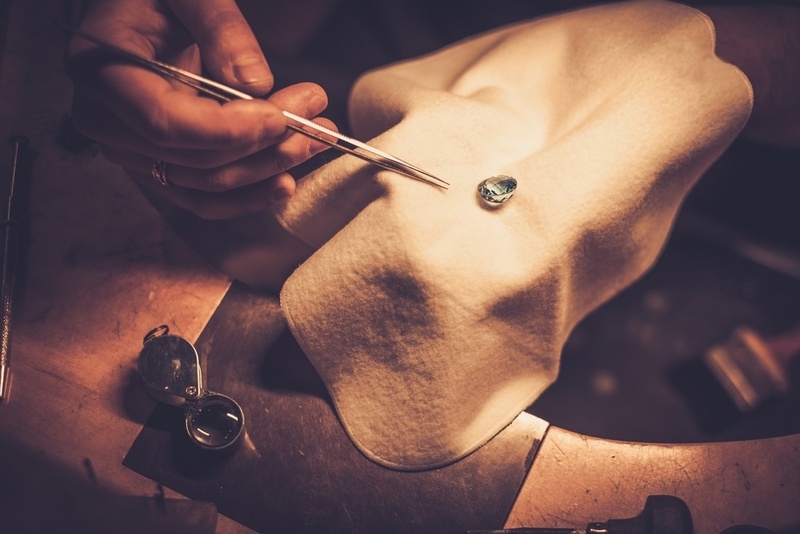 Precious and semi-precious gems might fill in for the heart, and sometimes the hands and crown. Claddagh rings can be adapted to any style, whether traditional or contemporary, so don’t be afraid to put a modern twist on this classic! 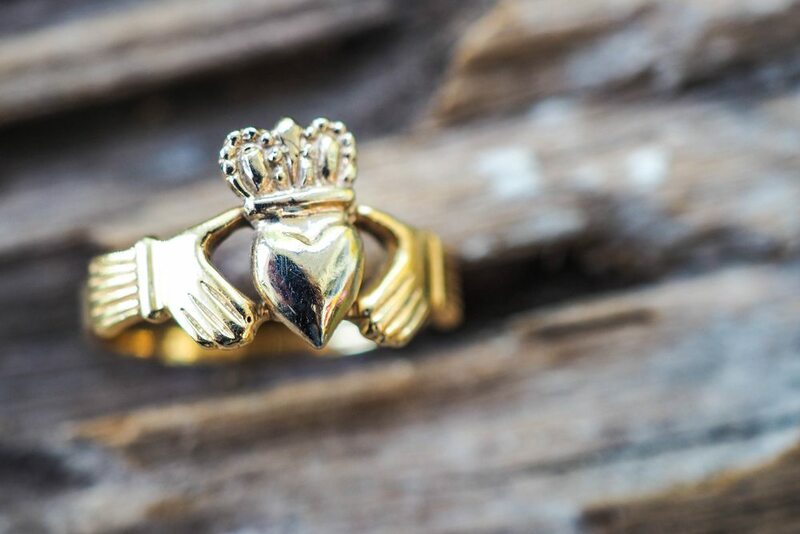 Whether you love all things Irish or all your Erin go Bragh is focused on your sweetheart, a Claddagh ring could figure prominently in your relationship. All of the facts and tips above provide a great foundation for understanding this popular style of ring. No matter if it is handed down or brand new, you now have some insight into the Claddagh ring intended for your wild Irish rose!